Mr. Seinfeld’s quote sums up the fear of public speaking in our society in a very comprehensive way. 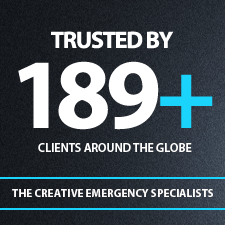 It also explains the reason why there are so many workshops regarding public-speaking held regularly worldwide. Blinck’s Public-Speaking and Confidence-Building workshop was however, different from the rest because of the assortment of attendees that it managed to attract. From a vibrant 9-year old to 30-year old corporates, the workshop featured seasoned debaters to people who got the ‘wobbly knees’ when they were asked to step up to the podium and speak. 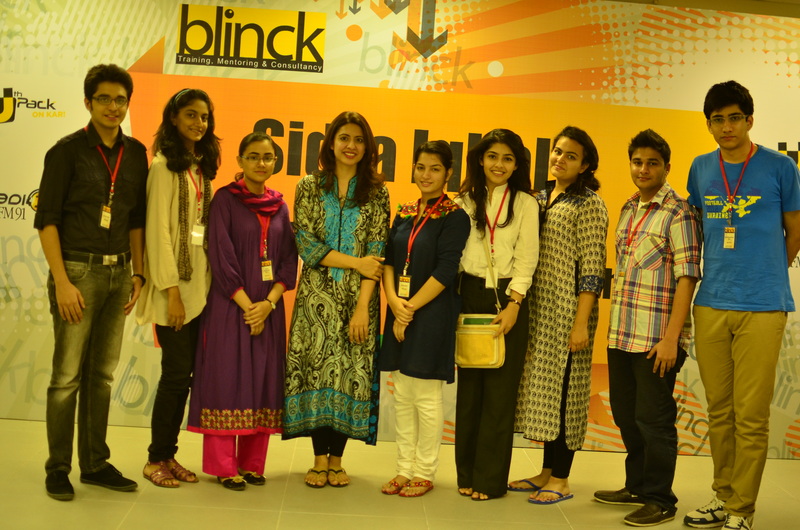 Sidra Iqbal’s unique methods were a treat for the young minds as they learned the tricks of the trade from the magician who plays with words herself. The light and humorous mode Sidra maintained throughout the sessions ensured that nerves were only strained to the smallest extent possible. Sidra also related to the attendees on a personal level, letting them know their individual flaws and strengths, and ensuring that everyone knew the areas that they had to work on in order to improve. It was amazing how she rolled up months of work into three days and managed to push the participants to their exclusive limits in such a short span of time. The workshop itself consisted of three separate sessions held every day, of which each lasted around 3-4 hours. These are elaborated upon below. 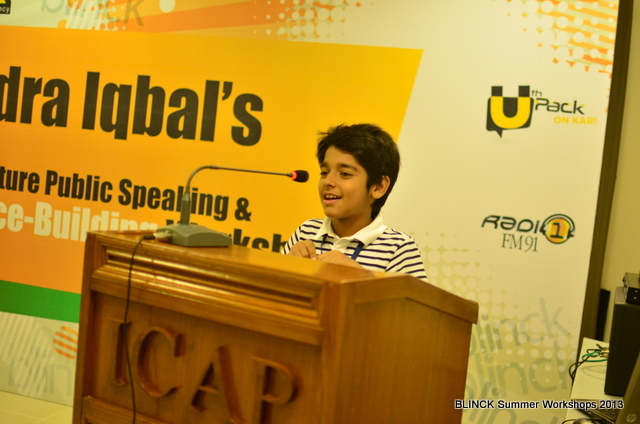 Description: Sessions to acquaint children, aged between eleven and fifteen, with the basic needs of public-speaking. What it incorporated: It is sad that in our society, children hardly get to form and express their own views. Instead, they are opinionated with time by the beliefs of their parents, friends and people surrounding them. Speak Bright was mainly about showing these young people the power of words and stimulating them with the freedom of expression. Description: Coaching beginners and infrequent debaters (age group: 16-24) regarding the standard protocols for public-speaking. What it incorporated: With the largest group among the three, Sidra laid emphasis on a number of factors that contribute to a good speech or presentation. In addition to the usual tips, she also brought fresher things to the table such as voice-modulation and being familiar with your settings. Special importance was given to the non-verbal aspects and Sidra made each attendee come forward and speak at the podium, pointing out their flaws to them. She told her students to adopt the old and effective opening->3-points->conclusion approach and to keep it simple, as trying too hard makes one uncomfortable which is a major disadvantage when speaking to an audience. 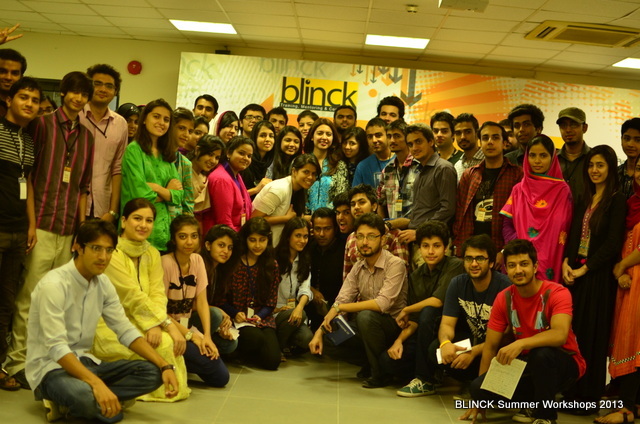 Attendee Feedback: Saman Wahab, a BBA student at IBA pointed out, ‘Sidra covered a lot of stuff in a very short time. Presentations, speeches, confidence-building, non-verbal aspects; it was a pleasure to learn so much from her.’ Tabinda Fatima, also a bachelors student at Iqra, observed, ‘The good thing was that Sidra made us all come up to the podium and speak in front of public, instead of just giving us tips and telling us what to do, as is the case in most of these public-speaking workshops. Description: Advanced level public-speaking sessions for regular and seasoned debaters. With the last sessions of all three categories done with, the closing ceremony and the certification was held. 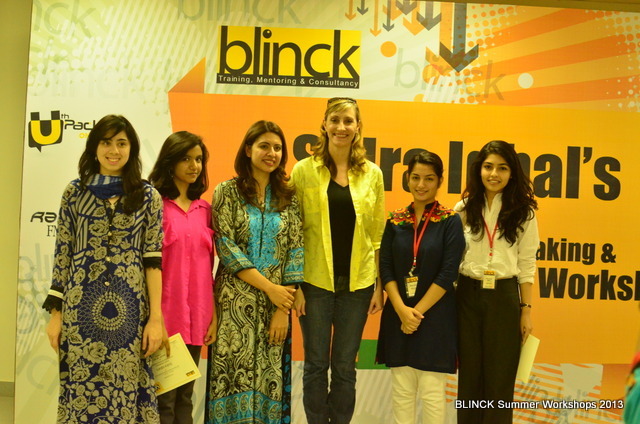 The Special Guest for the ceremony, the Media Head at the US Consulate, Corina Sanders, spoke about the importance of communication skills. After the certificates had been distributed to the attendees, Sidra spoke to her students, highlighting that the workshop was just the start of a journey, She asked them to keep working hard and keep pushing, and to build on what they had learned from her. Special-mention certificates were handed out to Amna Aijaz (Speak Bright), Mehreen Naveed (Speech Craft) and Priha Sayed (Talk Force) for standing out in their respective categories. 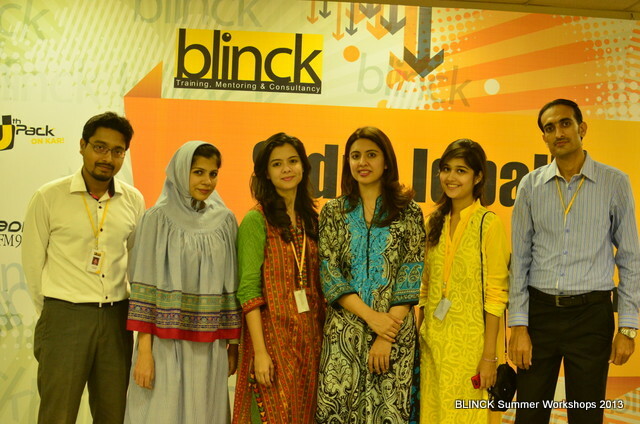 It was a fitting end to a workshop that fell true to Blinck’s motto, which states the company’s purpose as providing ‘training, mentoring and consultancy for the young and vibrant minds’. It was delightful to see a vast majority of attendees successfully enhance their confidence and communication skills. This reporter hopes that he gets to report more of such events organized by the team at Blinck, as that is the only way he will get to attend them for free.